AB 540 is a California state law passed in 2001 that allows qualified undocumented students to pay in-state tuition instead of out-of-state tuition at California’s public higher education institutions. The California DREAM act passed in 2011 allows these applicants to apply for state funded and non state funded financial aid. Though these laws ease the financial burden on students, ensuring access to these benefits is not always a straightforward process. Transfer professionals are here to help. Listen in as they share insights into how to apply and qualify these programs and more. 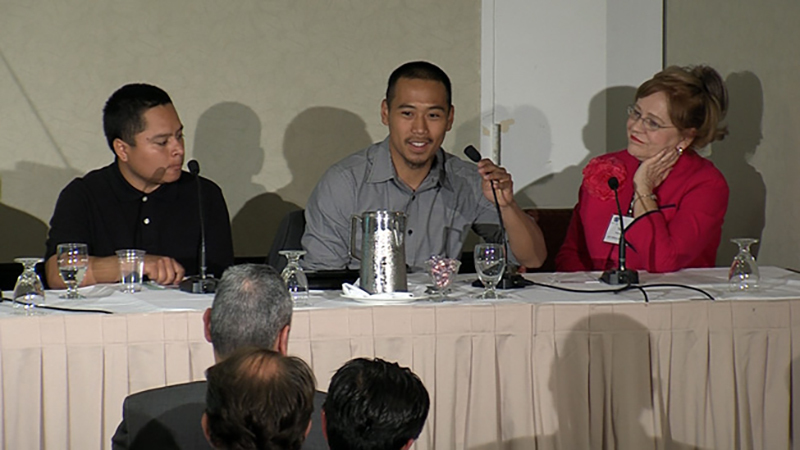 Watch “Ensuring Transfer Success 2013 – California DREAMin’” or check out assist.org for more online student-transfer information. Check out our other programs designed to help you apply for college!